The telenovela-inspired series is known for bridging the Latino community and our diverse traditions, and this is the proof. In the hit series, Gina’s character Jane plays a Venezuelan new mom coming into her own all while owning her Latina roots. 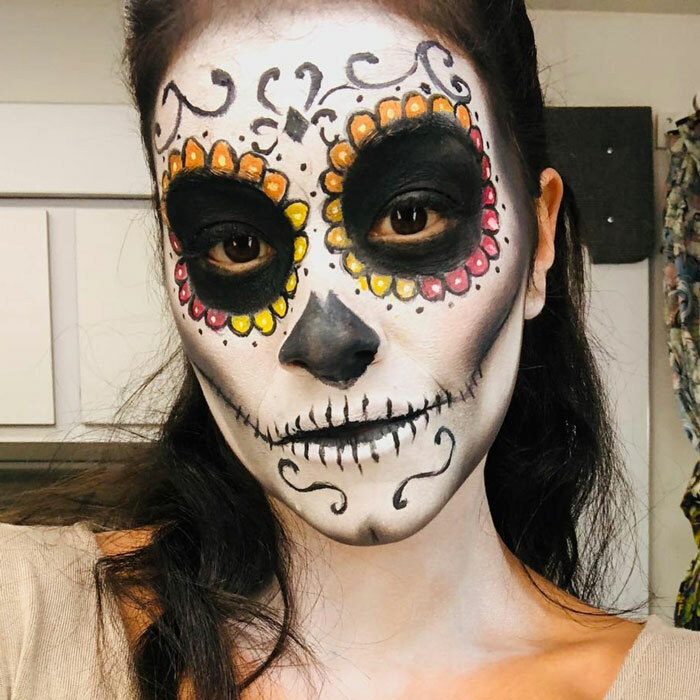 The sugar skull makeup look showcases is an amazing example of beauty inclusivity. Celebrated from October 31 to November 2 in Mexico, the holiday holds a special place in many Latinos' hearts. For centuries Mexicans from all walks of life have celebrated this cultural festival. Whether you’re a native Mexican, Mexican-Americanor American the vibrant and colorful holiday has made a crossover among many ethnicities. The tradition focuses on honoring loved ones who havepassed on. Some create private altars for prayer sessions and wear the sugar skull makeup to embody their ancestors' spirits. Feeling creative yet? Try creating your own sugar skull makeup look. WATCH THE VIDEO BELOW FOR SUGAR SKULL MAKEUP TIPS!